Vincent van Gogh is best known for the fabulous brutal landscapes but he said in a letter to his faithful brother Theo in 1882, “Much as I love landscape, I love figures even more.” This interests me because I also began besotted by landscape and nature and thought it was down to a past life embroiled in wildlife conservation that always kept at bay the human figure. Eventually though they came to merge in my ‘Figurescape’ series. And by and by this became more central. Perhaps an example of the evolution necessary to progress. 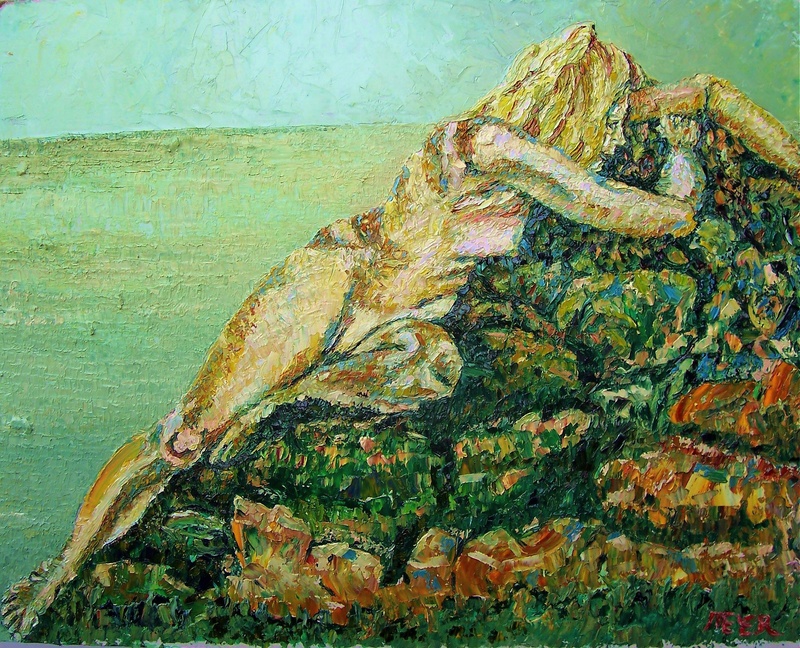 I can see more clearly now how Cezanne ended up painting his strange huge Bathers. Today, in a curious coming together of disparate things (not so curious really because it happens all the time, we just don’t always notice), reading the always excellent Paul Evans’ Country Diary in The Guardian, I came across this throwaway sentence, “Natural beauty lies in the unexpected relationship between things.” That could be one definition of Ecology, it is certainly a definition of how I regard the creation of Art. So here in a small nutshell is a good working stab at the meaning of life. It’s one of those cliches that gets under your skin. Well, under my skin, since it’s not something I’ve heard others complain about: it’s the notion that as painters we ‘Capture’ something. You hear it all the time: “So and so has captured this or that”. Said without thinking, as cliches are. When I was working in Natural History and involved in field trips, what most people seemed largely concerned with was naming whatever it was they encountered. As soon as it was named, or nailed down, they’d move on to the next thing and do the same again. I used to try to get folk actually to look and not just capture it with a name, which is after all merely a human construct. It can obscure the real beauty and wonder of the thing. I’ve noticed that gallery vistors often spend longer reading the label than looking at the work. Again they need to ‘nail it’ somehow. In painting, we should be less interested in capturing some quality or life that exists elsewhere than in creating our own. A subject, be it a model, an idea or a view, is a starting point. One stays faithful to the origin while building and extemporising to create something unique and quite different and alternative. At least that is my view. When one looks at a tree or a card player, only the artist can know the subject at first hand: tomorrow it will be different… in the next half hour it will be different ! The painting exists more or less for ever, and as such it becomes the timeless reality. 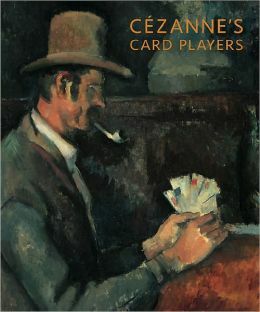 Cezanne ‘created’ his card players, they never actually existed. It was his genius as an artist that rendered them timeless. Here is the difference between photography (that does endeavour to capture some moment in time and space) and mere illustration, however competent. A true artist never makes that mistake but there are hundreds of good illustrators.